Here is a photo of what greeted the clients at the 25th annual Chili Contest for my husband's office. The theme this year was a hoe down. If you click on the picture to see it larger, you can see the details better. 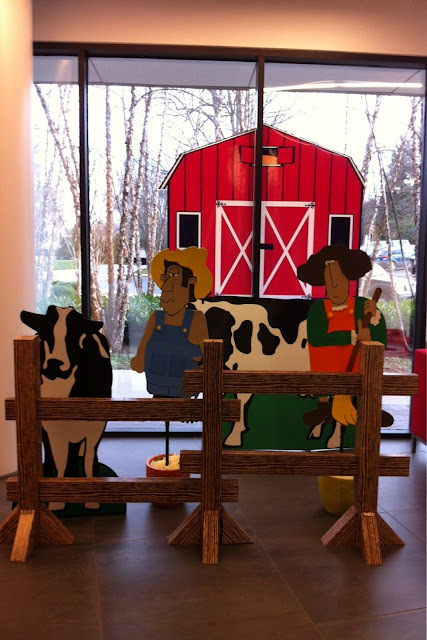 The farmer and his wife are made of foam core with fun foam glued on top. The cows I ordered from Stumps Party, as I did the cardboard fence. The barn I created in Photoshop. It is printed 42" wide by 64" tall. You can grab the jpeg here. 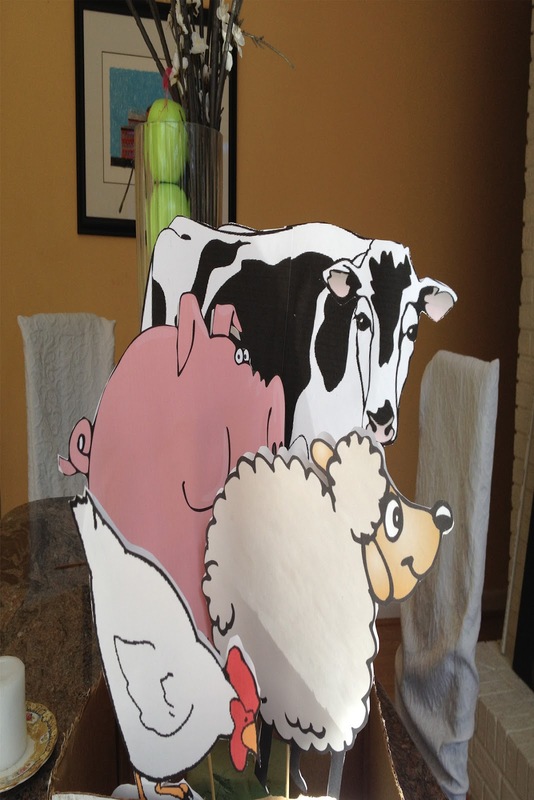 Here are some of the cardstock animals I printed up and sandwiched with skewers to make centerpieces. I used red checked tablecloths for the tables. I placed a large plain voting sheet in front of each crock-pot. Each guest was given a strip of 5 voting dots. If they liked a chili, they just put a dot on the card. 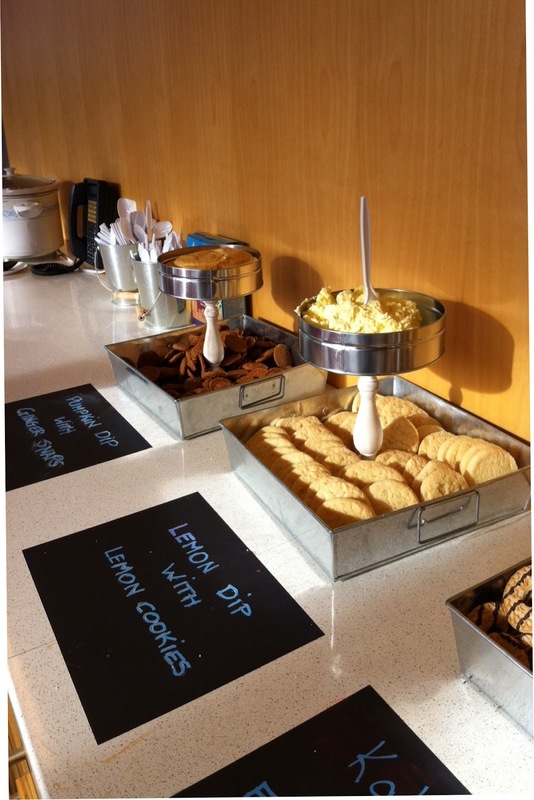 I set up a dessert dip bar in the office kitchen/party space. I ordered the tin trays from Amazon.com. I ordered the wooden candle holders from Etsy. I bought the tin trays from Michael's. I hot glued the 3 things together. When it was time for clean-up, I could simply pull them apart to clean and store. then adding in 1 cup cool whip, 4 Tablespoons of lemon pudding mix and the juice of one lemon. It was also a GREAT HIT. I chose a Kahlua dip for the 3rd dip. I blended the cream cheese and powdered sugar, but added a fourth cup of Kahlua and a splash of Godiva chocolate liqueur along with the one cup of cool whip. DELICIOUS. I served it with fudgie cookies. I found sticky backed blackboard paper at a paper store in town. I stuck it right to the counter. I used the Blackboard Paint Pens (that don't smear but are washable). I got those on Amazon.com also. Finally, I made an oreo cheese ball. We ordered a soft serve ice cream machine ($180) for the evening. I made a large crock-pot with hot apple dip (see recipes). That was very popular. We had a guitar player and harmonica player playing country western songs and a 70 degree weather night. (RARE in our area). So I opened the kitchen's patio doors and built a fire in our firepit. I provided s'more ingredients. You can get the recipes here. 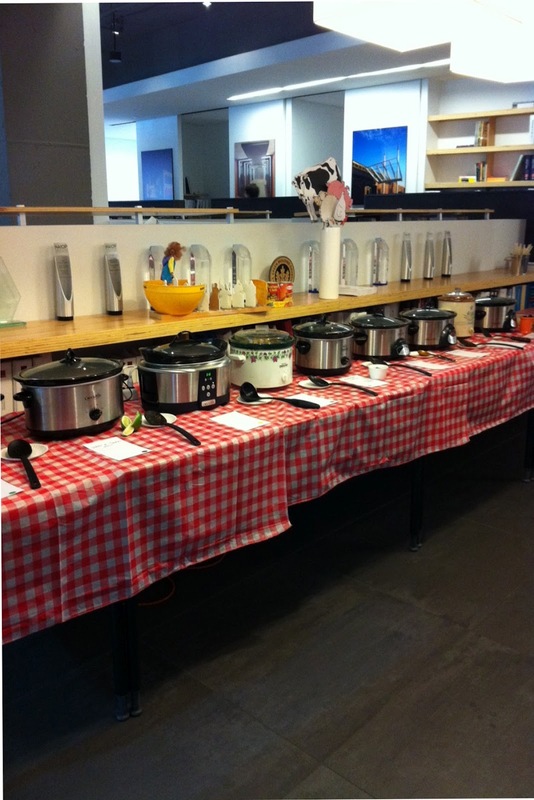 Another successful chili party. What's the theme next year? I'm already starting to think about it. But, I still have a Margarita party to plan in the fall, along with the Office Holiday Party--Santa's Campground.